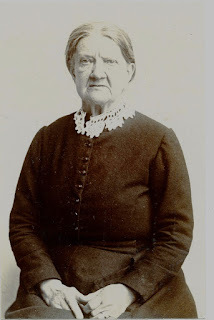 My grandmother was born in the very early years of the 20th century. I didn't really know her very well as I was the late baby of her youngest daughter and she spoke in a thick Wiltshire accent, often in dialect. What I knew of her was based on her appearance and what I was given when she died. Both things pointed to the fact that Grandma Daisy had been a bit of a flapper. 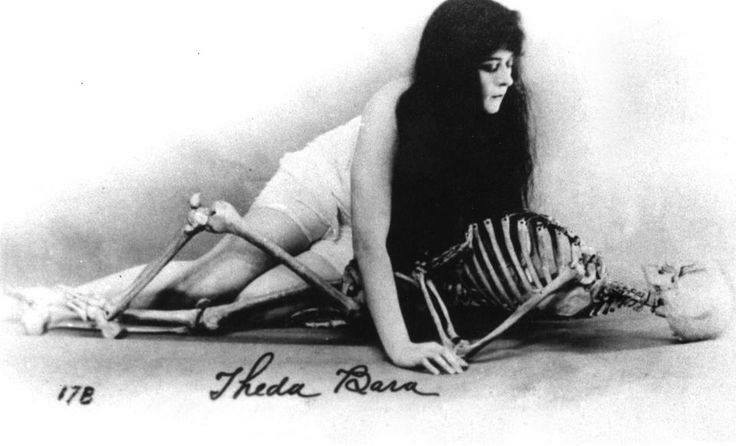 She had her black hair bobbed in the 1920s and had remained with the same hairstyle until the day she died. She also had a secret passion for the talkies, revealed by two massive books all about the early days of cinema that were given to me after her death in the early 1990s. The story begins with a newspaper report of a fire at the home of Leda Grey, an elderly woman with a secret. Actually, she has a few secrets and the man who wants to discover them, Ed Peters, is a journalist with issues of his own. 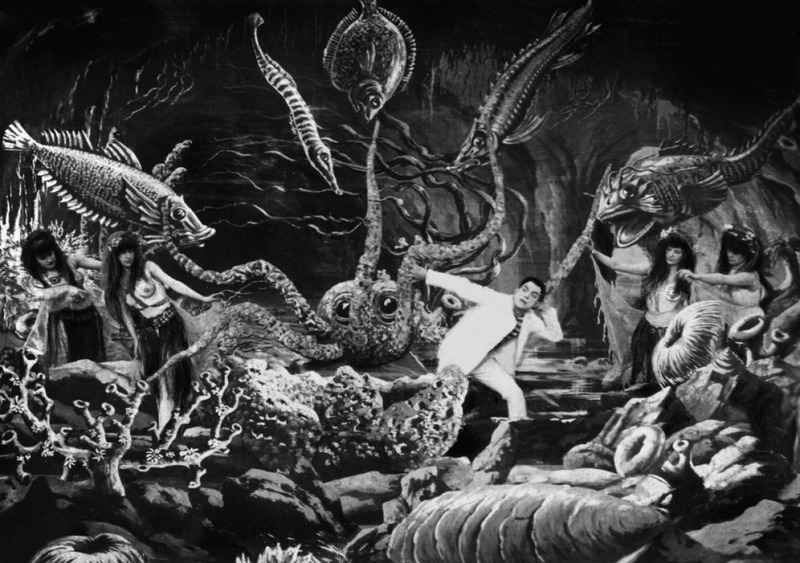 His journey to White Cliff House is far more of an odyssey than he could imagine. There is a wonderful tension between young, passionate Leda who is drawn into the wonderful imaginary worlds of the films, and old, fragile Leda, hiding from her nightmares and clinging to Ed who she hopes can bring her back into the real world. 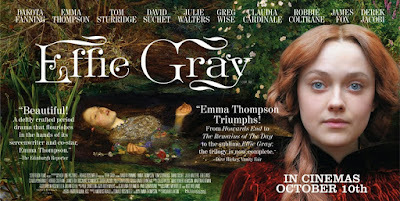 Leda Grey is such a compelling character, desperate for a little glamour and a little love. 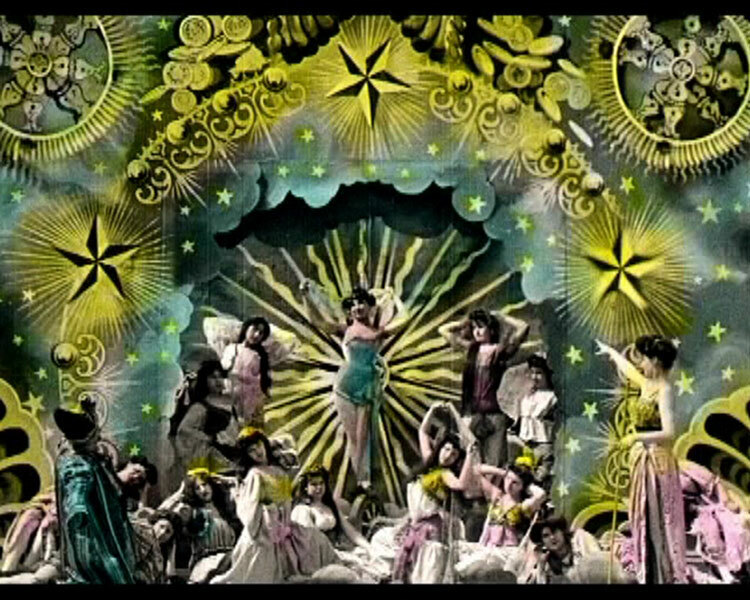 In Beauvois she sees a way of claiming both but finds the man and his films are more dangerous than she could know. I found the relationship between Leda and Ed very touching as they mirrored each others circumstance and found unlikely soulmates in their solitude. Their odd relationship provided what the other lacked and ultimately makes the ending even more unsettling. I didn't really know very much about Edwardian cinema before this book but now want to know more. I had seen some Georges Melies and things like Metropolis but now want to see more of the source material for Beauvois' fevered visions. The films described in script form in the book are so vivid you can see them unfold, leading to the shocking moments in the climax of the book. I read this book in two sittings so be prepared to lose a day or two while you visit Leda and hear her amazing story. It is a great book and it is impossible not to want to gallop to the end and reveal all of Leda's secrets. Really, I can't say anymore without giving stuff away. Really. Argh, I really want to tell you. Just read it. You'll love it. 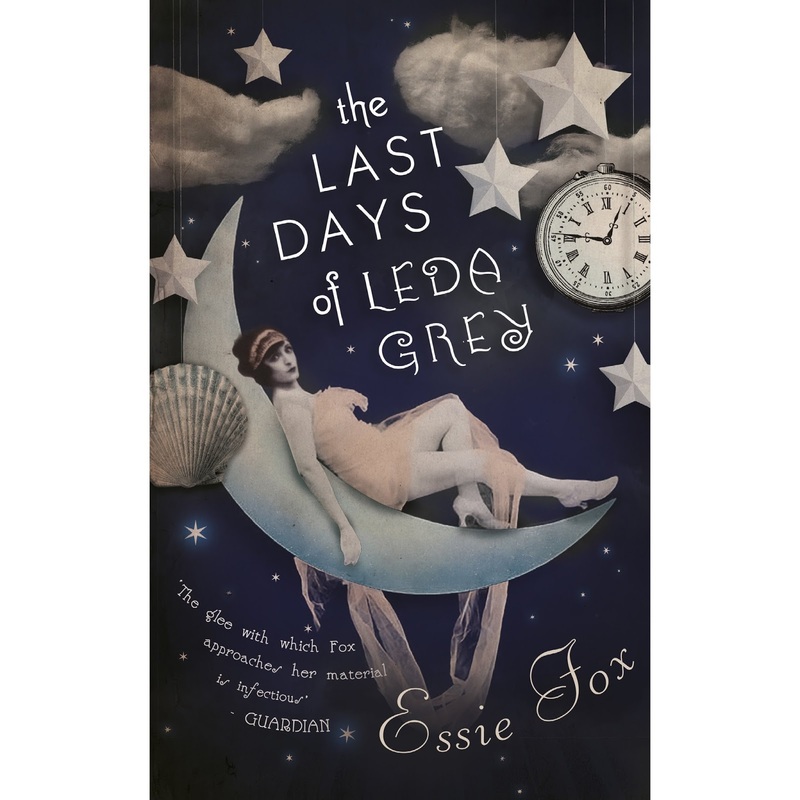 The Last Days of Leda Grey is out on the 3rd November and is available to buy from Amazon (UK) (USA) and all great bookshops. If They Are So Clever, Why Are They Dead? 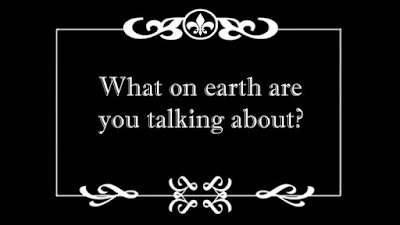 In the middle of the night last weekend, I was the recipient of several messages complaining about one of my posts. The person who tried to leave angry comments on the blog found themselves thwarted by my comment approval system and therefore the comments left got angrier and angrier. They claim I lied, that I had made things up that I was slandering (or is it libeling?) the artist in question. Now, you should know by now that I spend an awful lot of time and effort researching my work and actually I hadn't written anything particularly revelatory. Anyone could have read the same on many different websites or in the probate records in question. 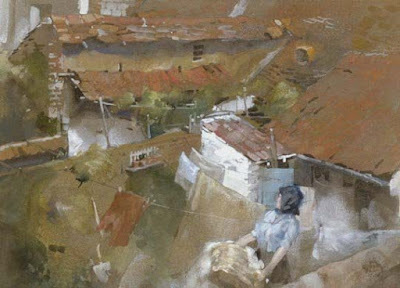 However, the complainant claimed to be a descendant of the artist and felt very strongly that the incidents in the artist's life were untrue, damaging and hurtful. 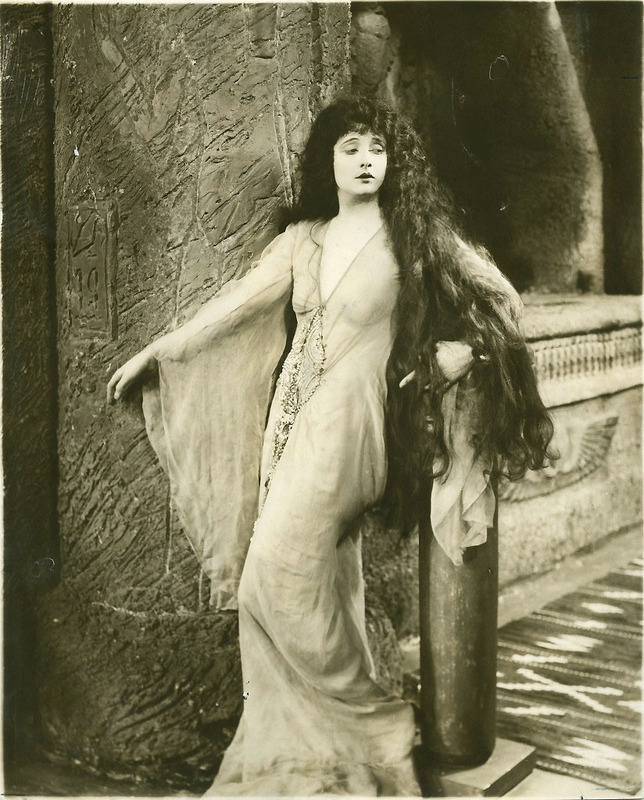 Jane Morris as La Pia, the unhappy wife of an awful husband. Because she was. Apparently. Should the truth always trump discretion? My knee-jerk reaction is obviously to say yes, truth will out and helps us understand people and their motivations. However, pause for a moment to imagine a future when everything in your life is revealed. Would you want that? Would you agree that moments of regret you hold secret should be brought forth as evidence to something or other? 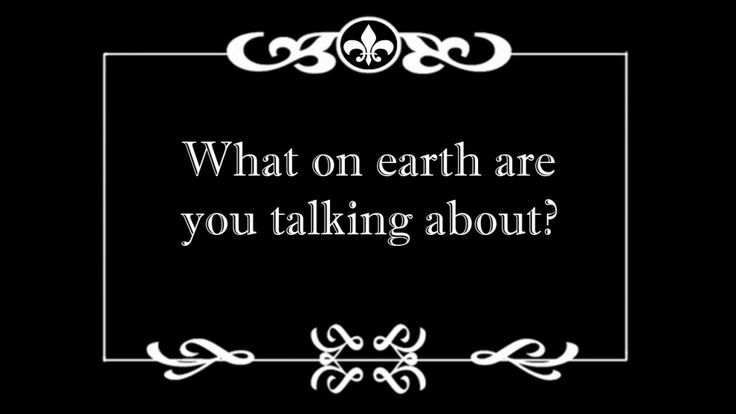 Even things you don't regret but just don't have any relevance to what you do, what would you feel about that? Maybe we should follow Roland Barthes, literary theorist, and divorce author/artist from their work (see Death of the Author). What effect does our biographical reading of art and literature have on our understanding of those that make it and how far should we go? Back in 2011 I wrote a blogpost on the myths surrounding Fanny Cornforth. For years people had been writing that Fanny was an illiterate, thieving, lying prostitute. Turns out most, if not all, of those things are not true, or at least not the full truth. 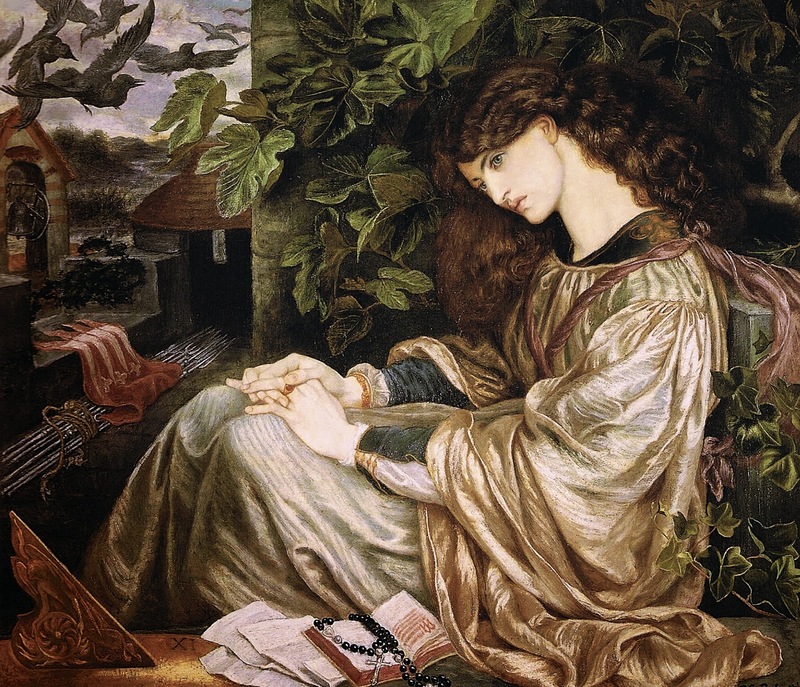 Furthermore, for the most part people talking about Fanny Cornforth were actually talking about Dante Gabriel Rossetti. Her character was a reflection on his; what difference can be seen between his choice to love a lying, illiterate prostitute or his loving a country woman who was just a bit tenacious in her love? Also, while we're on the subject, what should we read in to the fact she died in an asylum? I have lost count of how many times I have winced when someone casually states that Elizabeth Siddal killed herself. She may have killed herself but equally she may have just taken the drugs by accident. What's the difference? 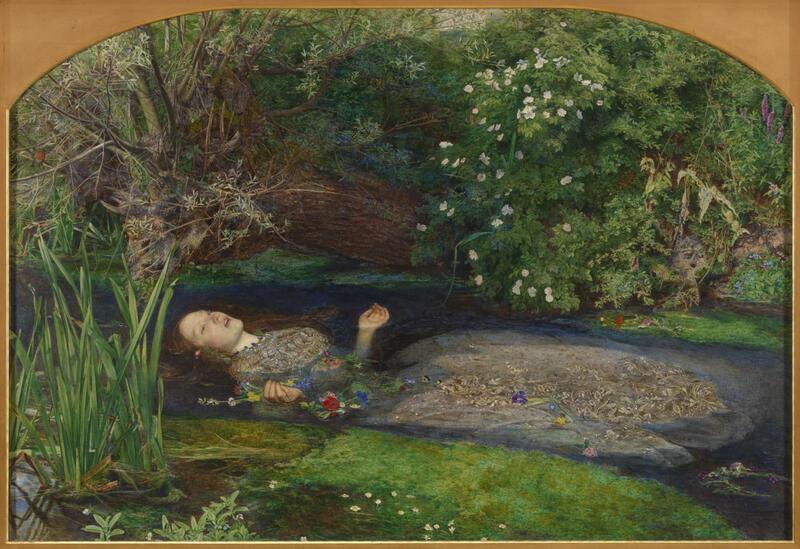 Our reading of suicidal Siddal plays well with our image of her as Ophelia, it fits the narrative of a doomed heroine. 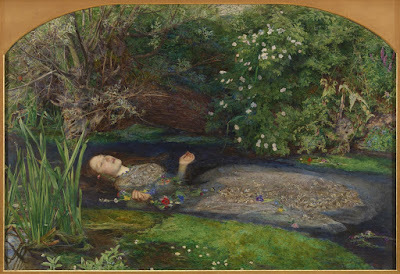 Is it wrong of us to hold Elizabeth Siddal up as a martyr for women who love too much, who are consumed by their art and become a victim of their own passion. If that strikes a chord within us, is it wrong to find solace, to find kinship with someone who we make a connection with? Is there harm in seeing an aspect of ourselves in another? Undoubtedly Elizabeth Siddal was unhappy, was caused unhappiness by an uncaring and careless husband and found an outlet in her art and poetry. Arguably those moments of unhappiness probably led to thoughts of death. The problem becomes when that is all we see of her and she is reduced to the woman in the bath tub. 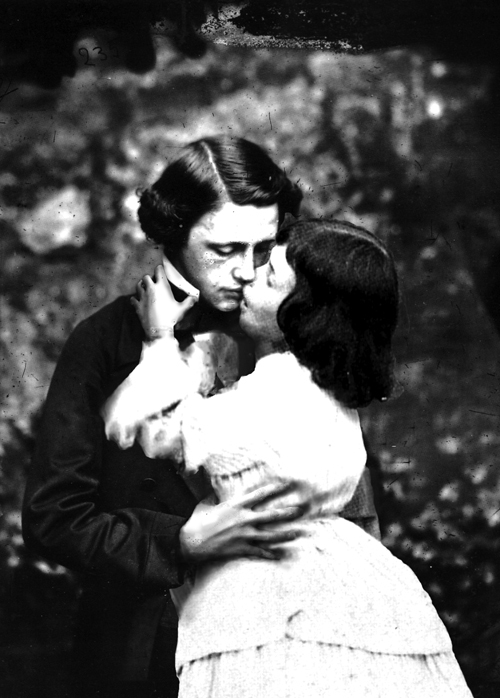 Lewis Carroll and Alice Liddell. Sort of. Apparently, Alice in Wonderland is all about drugs. 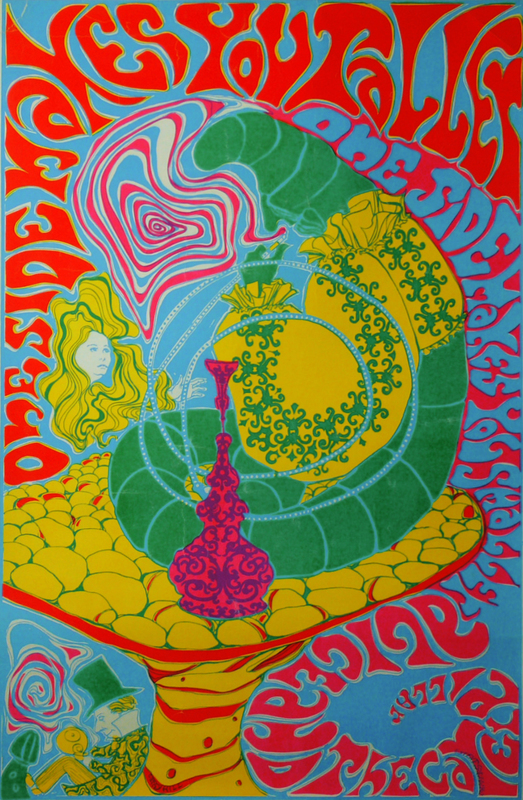 It took the clever folks of the 1960s to realise this and for ever more you can't mention Alice without some wise soul saying 'Of course they were all on drugs.' Well, no. Well, maybe some of them. But not Lewis Carroll because he was too busy staring improperly at little girls. Apparently. 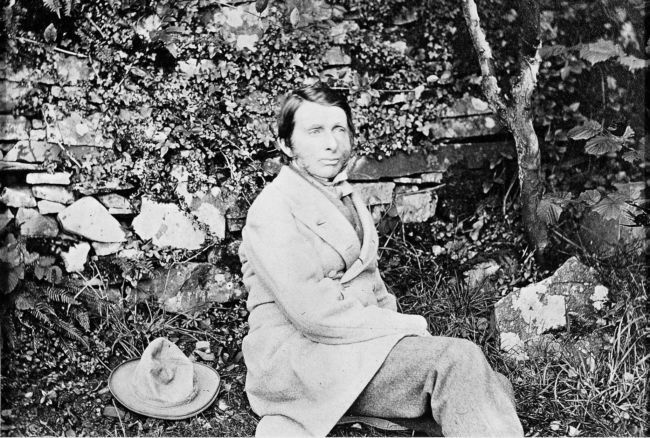 John Ruskin in a lady's garden. My apologies. And don't get me started on John Ruskin. So maybe my angered correspondent was correct, saying that personal details are not up for discussion because no-one can ever see in the darkness of another's soul, let alone one who has been dead for a century. It does seem to lead to some very spurious lines of inquiry and dead ends, not to mention distracting from the genius that brought these people to our attention in the first place. 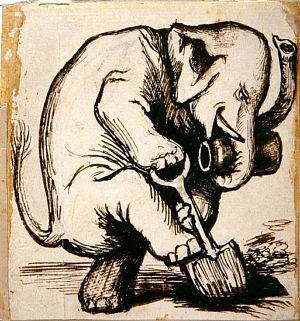 However, without a bit of digging, it would be impossible to right the wrongs done to people in the past. Fanny would forever be the illiterate thieving tart that her accusers decided she was which is deeply unfair. 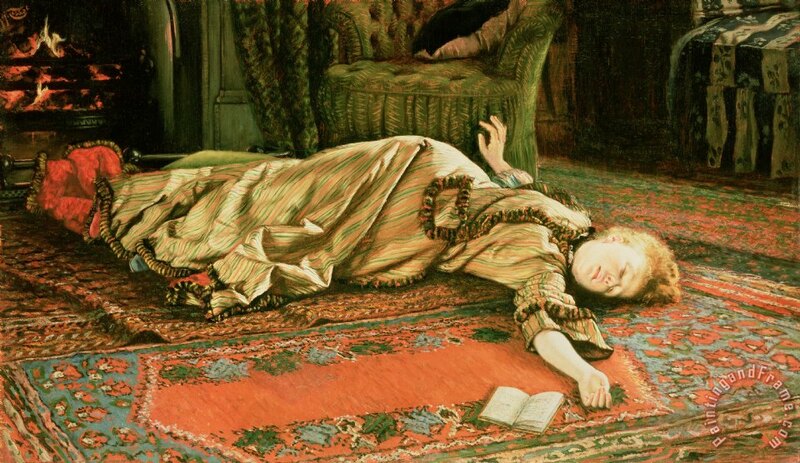 Something that really seemed to bother my own personal critic was that I had said that one person in her story had died in an asylum (listed in his probate record) and that another had killed herself (listed in subsequent newspaper reports). For my critic there seemed to be a stigma about both things, where as I attached no judgement to either. Suicide is such a complex issue (even when it seems straightforward) that it would be impossible to say why someone would do it let alone be stupid enough to blame them for their action. As for asylums, I think we would all agree that actually being mad would put you in a minority in a Victorian asylum, but if the person had problems with mental illness I'd hardly be the first person to throw stones. So, in rambling conclusion, biographical research and speculation are both essential and unnecessary. I'm glad we cleared that up. Seriously, it's an unwinnable fight because it both casts light and confusion on your subject. Not only that, for some people certain facts are unpalatable because of their own personal feelings. I think it is salient to consider how speculation, however well-founded and well-intentioned, can offend and no matter how long ago your subject passed away there will be people who feel passionately about the sanctity of the subject. When your subject is long-dead, it seems easy for us to speculate on their sexuality, criminality or insanity because they are hardly likely to take issue and prove us wrong. 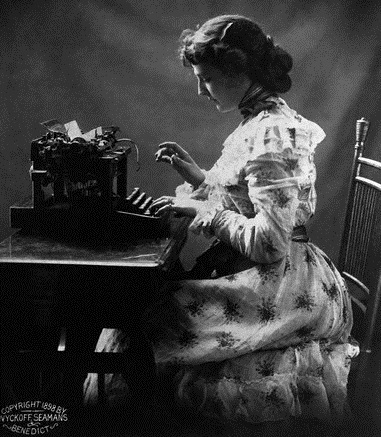 However in this hyper-connected world where people can find you at the touch of a button, there will always be someone who will take issue if they don't like you saying that Dickens wore a dress every Sunday or Tennyson was a founder member of Black Lace. Be sure of your facts, be confident of your work, but remember that people, both dead and alive, deserve respect and understanding. "While waiting I was suddenly struck by familiar faces gazing down from the walls. To my astonishment I found no fewer than eleven autographed portraits of famous Victorians by Julia Margaret Cameron. I must admit that I was rather puzzled to see these photographs decorating a dingy railway waiting room, of all places, but a moment later I came across the surprising explanation inscribed on one or two of the photographs. This gallery of the great men of our age is presented to this room by Mrs Cameron in grateful memory of this being the spot where she first met one of her sons after a long absence of four years in Ceylon. 11th November 1871." In defense of Brockenhurst Railway Station, these days it is not dingy at all. Small and busy, the ticket office has the plates from two steam trains over the two windows, very appropriately labelled 'Freshwater' and 'Farringford', the trains that took passengers down to the Isle of Wight ferry. 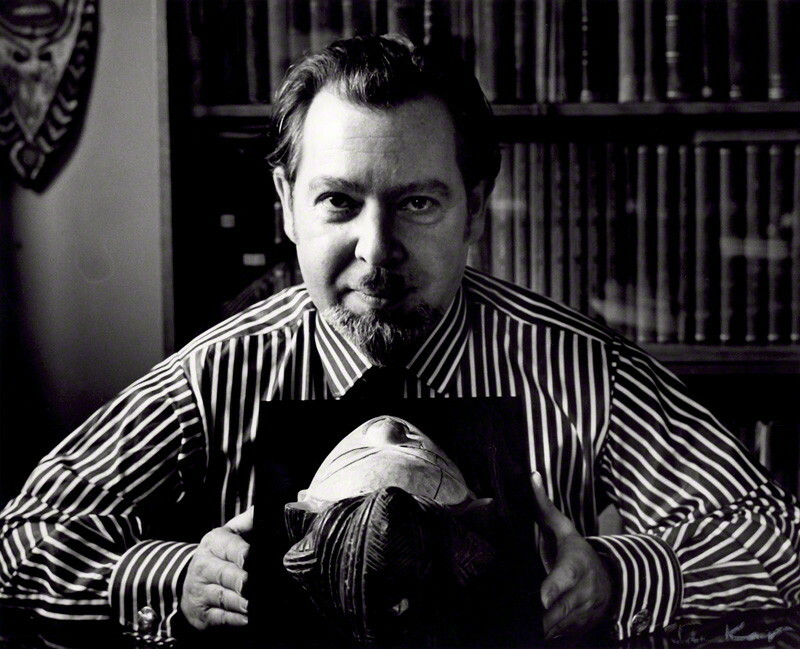 In Gernsheim's notes he says that the original photographs were removed to head office at Waterloo Station in the 1930s but that copies were there when the book was published in the 1970s. I don't know how hopeful I felt as we investigated, but lo and behold on either side are two wall mounted cabinets with the prints inside. 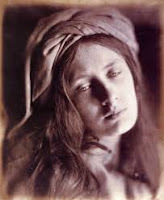 A little label in the cabinet reads 'These photographs are very careful copies of the original photographs by Mrs JULIA MARGARET CAMERON and were bequeathed to this station. The originals, which were fast fading away, are retained carefully by the Headquarters of SOUTHERN RAILWAY.' As a side note, I have tried to find where the photographs are now held, but no-one has any idea in head office, which is a great shame. 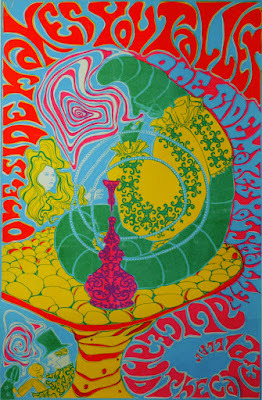 The prints are beautiful quality and the cabinets are nice if a little retro, but they don't detract from the images. They are kept behind locked sliding doors and I must thank the staff for having the patience to unlock the cabinets for me, so I could take the pictures. For some reason, one of the photographs, presumably Beatrice Cenci (May Prinsep) (1866) (left), was missing from the reproductions and instead a print of a drawing of it appears in its place. I'd love to know why - maybe the original had become too faded by the time of their replacement, so a drawing had to be done instead. It's a very spirited attempt, but I wonder why it wasn't just left out. Maybe it was felt that Mrs Cameron had left a 'collection' and that should be respected as a vision that should remain intact. As it is, what is May Prinsep doing in a collection of 'great men' (Cameron's own words)? I have a theory that Cameron often used the word 'men' in terms of 'person', in the old sense of the word. There is a blog I keep meaning to writing on Cameron's tricksy language, but when it came to 'men', I don't think she meant it to exclude women too. So, if you find yourself in Brockenhurst with a few minutes to spare, make your way over to the ticket office by the Italian restaurant and the car park. There, behind some pot plants and leaflet holders are the collection of images Cameron left in gratitude to the place her son returned to her. I often think of Cameron's art as a replacement for her children, to fill that creative, nurturing piece of her life when her nest emptied. 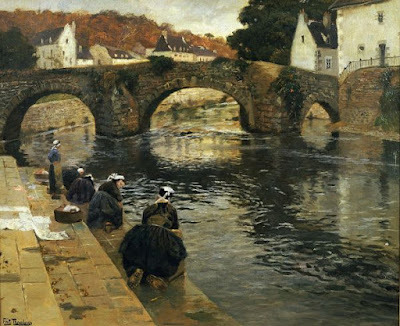 It is therefore appropriate that she left some of her 'children' in the place where she welcomed back her beloved son and created a haven of Victorian art in a bustling world. Hello everyone and this is just a quick post to ask for your help. Back in the Spring of last year I told you all about Fanny Cornforth's final years and finding her grave in Chichester Graveyard. Fanny had died in Graylingwell Asylum and was buried in a common grave. 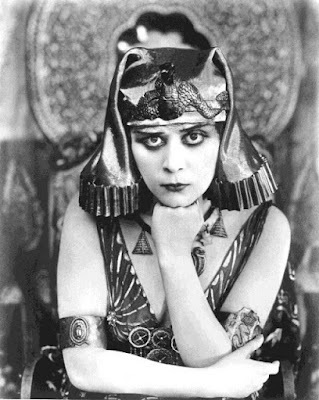 As she shared her plot with other people it was impossible to have a stone for her without the agreement of the families of the other people in with her, all of which was impossible. Now, during the Graylingwell Project, I worked with Sarah Rance-Riley on Fanny's life in Graylingwell Asylum and now Sarah has started a GoFundMe page to purchase a bench to be placed by Fanny's grave so people can sit and remember her in the peaceful atmosphere of the cemetery. This is a lovely project and I am so happy to be involved. It is hoped that the bench can be installed for 9th April next year. As many of you will know that is the date of Rossetti's death and in the eyes of many of his contemporaries it should have been the day that Fanny was wiped from Pre-Raphaelite history. I think it is wonderfully and wickedly fitting that we should unveil the memorial to her on that day. To donate money to the project please visit Sarah's funding page and I shall keep you updated on progress! Possibly the mistake I made was to do the washing in the kitchen sink. 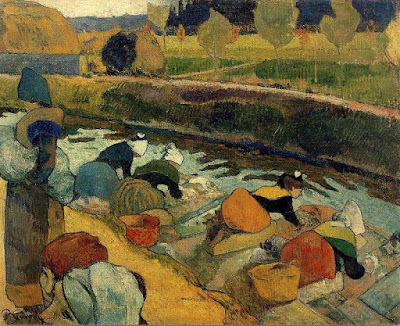 A far more communal way to do it is in the local river. I admit I don't have a local river (other than when the drains are up) but there is a duckpond nearby with only a modest number of rats. I could have merrily bonded with my neighbours as we scrubbed together. See, that is definitely the way forward, everyone is at it. Plus I'll get one of those hats to wear. 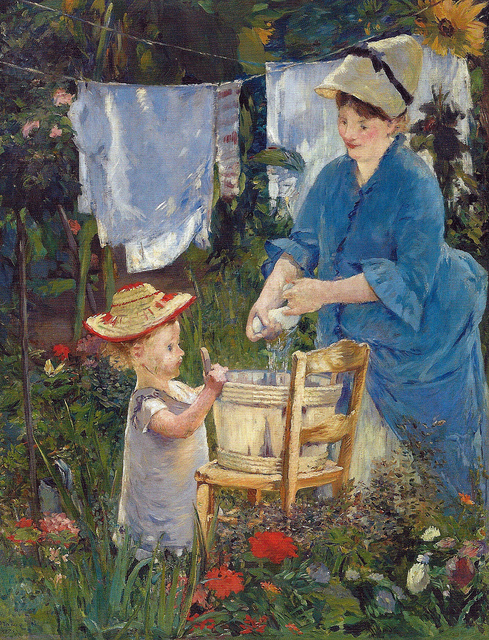 If my fellow residents can't be relied on for communal laundry, maybe I should get my daughter Lily-Rose to assist me, as shown by Manet above. How utterly delightful it would be for the pair of us to wash clothes in our colourful garden in the sparkly sunshine. Only now it's autumn it all looks a little Somme-ish out there, and my daughter isn't small and cute anymore, she tall and reasonably belligerent if I was to suggest a fun game of wash-all-the-clothes. Now, if I suggested that she washed a large bucket of puppies in the back garden she'd be out there like a shot. Her own pants? Not so keen. Being without a washing machine has made me really appreciate just how much logical planning has to go into washing otherwise. 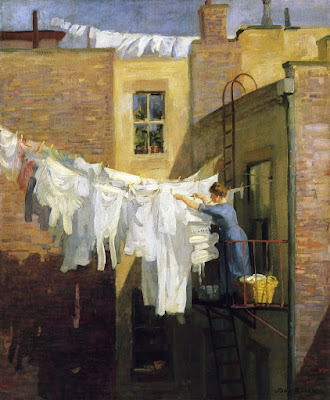 We have never owned a tumble dryer, but we have air dryers and radiators, so drying clothes on wet days was never much of a problem, however washing them in the sink, then rinsing, then wringing out, that's a whole different matter. Without a mangle you will never get enough water out of a garment and so outdoor drying is necessary unless you want wet floors. That means at least 10 hours of dry, warmish weather, preferably breezy, just to get it sort of damp rather than dripping. Then it takes another day inside to dry off. I have found myself prioritising items of clothing, like school uniform, socks, knickers, and wondering if things like cardigans can last a day or two longer than I'd normally give them. 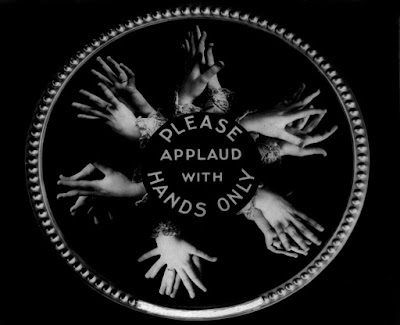 Mind you, there is enormous satisfaction in doing something the old fashioned way, and just for a moment feeling like you have not become a useless 21st century person. All this is firmly in the knowledge that it is a temporary measure, obviously. I have no aspiration to become like my grandmother who held down a full time job and had to do all the housework too. I should at this point admit one thing. 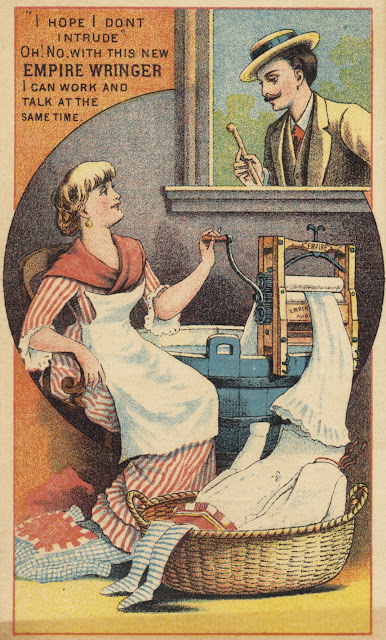 I am not, and have never been, an ironer. I will merrily scrub away, but the only time I iron anything is (a) party dress or (b) when I'm sewing seams. Otherwise, I am constantly in an ensemble of jersey. I don't have the motivation to iron pillowcases. I am duly ashamed of myself. 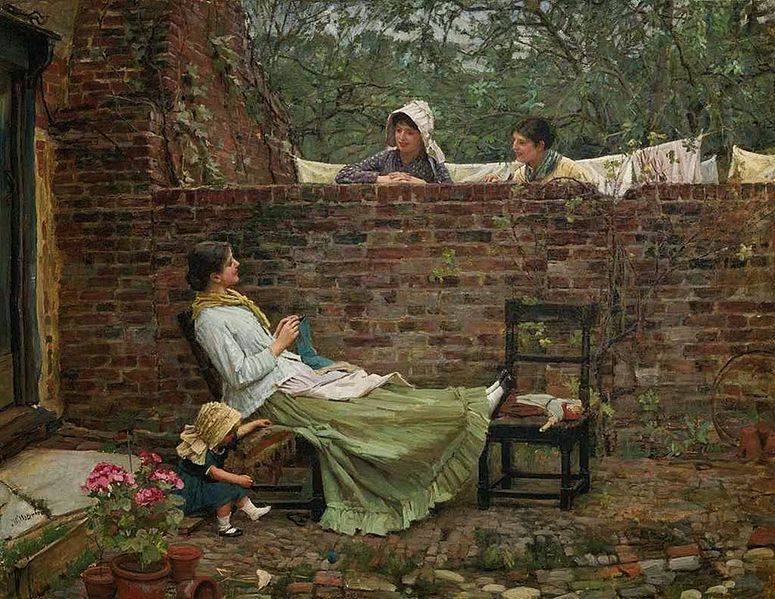 There is a sort of glamorous in domestic labour captured in art. 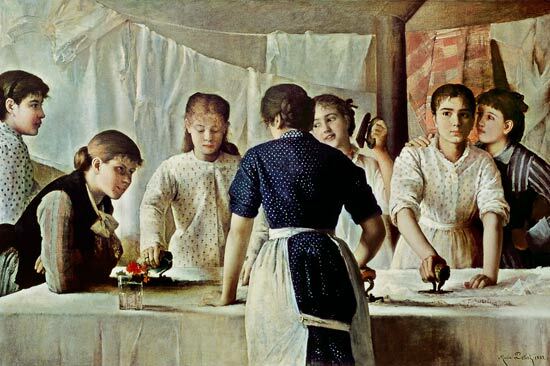 Like Communist posters of workers and farmers, the laundresses of Victorian art have a nobility in their work. 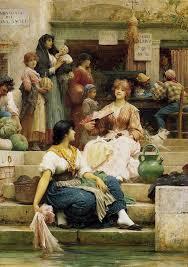 These are not feeble women, looking pretty and whimsome (apart possibly from Fildes' bunch). 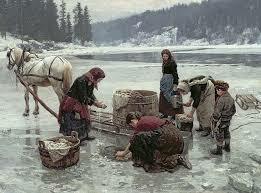 Instead they are strong, capable women, hard at work. I have a few questions about why they are often pictured from behind, although I'm sure I can guess the answers, but images such as Henri's magnificent Laundress above makes even the most mundane task seem a little more beautiful. If I was being optimistic about artist representation for a moment, I would argue that these images show how there was perceived beauty in usefulness. 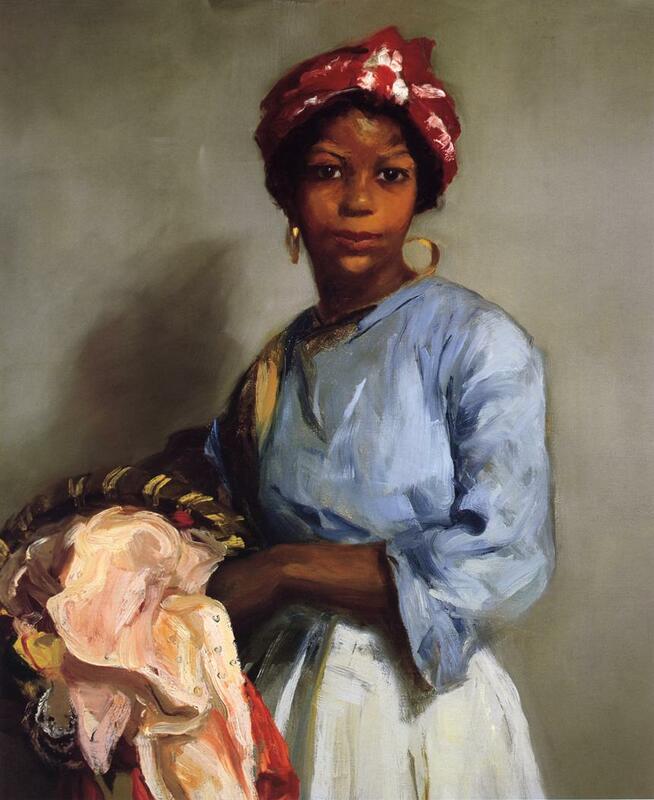 These artists showed that there was as much, if not more beauty in a woman working with a purpose, than in a society portrait. These are women too busy to sit down to be painted, but when they are portraits, there is nothing sexualised about them. 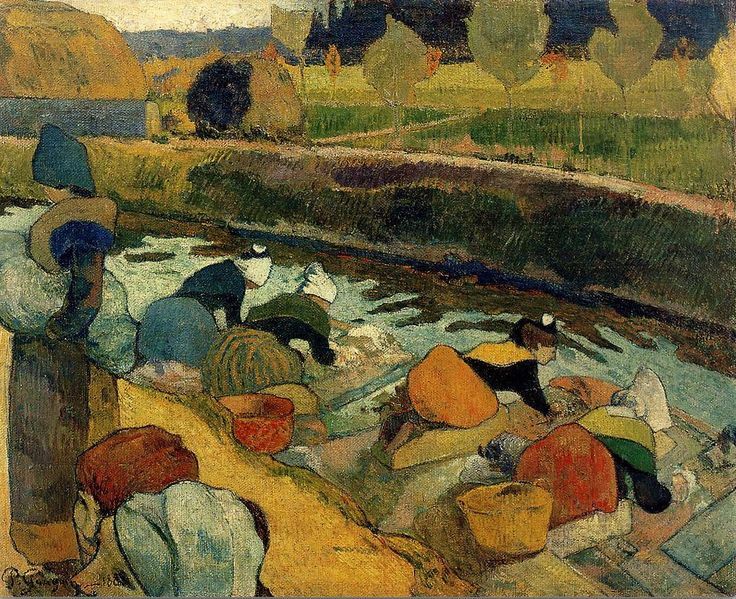 There is dignity in their work and in themselves. It might not have been the reality, but it is a positive image none the less.